The SISMO building technology is a cutting edge building method. The synergy between design method, engineering and production creates a rational and economic building method. Continuous research and development have made the SISMO building technology what it is today. 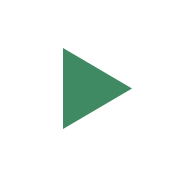 We guarantee constant technical updating to meet the requirements of our partners and customers. Throughout the years the system has been supported by a set of international patents registered to protect the product as well as the production process. We are proud to say that SISMO was the first company in the construction sector to receive the European Technical Approval (ETA 01/0001). SISMO is willing to share its know-how and expertise gathered over 30 years in various countries with investors and partners in order to penetrate new markets and successfully implement the SISMO building technology. For further information please contact us at the SISMO offices in Belgium. The architect’s design is translated into the SISMO building system using SISMO’s own software sisCAD®. 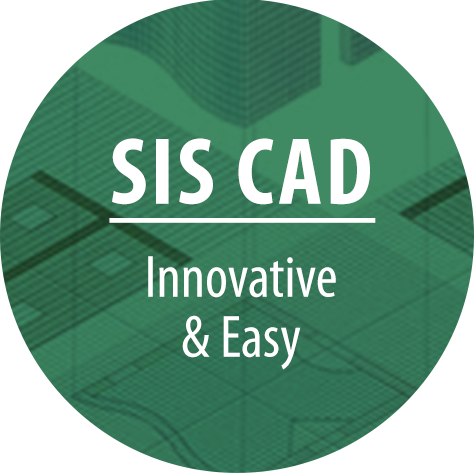 The sisCAD® program ensures very fast and cost efficient processing of all the project parameters. The SISMO modules are produced in the SISMO Production Station according to the sisCAD® specifications. All openings and connections will be pre-located in the SISMO modules. The modules will form a closed structure and the openings are supported by the lattice. No additional formwork is required on-site. The project will reflect the architect’s model in full scale. After delivery to the site the assembly can begin. 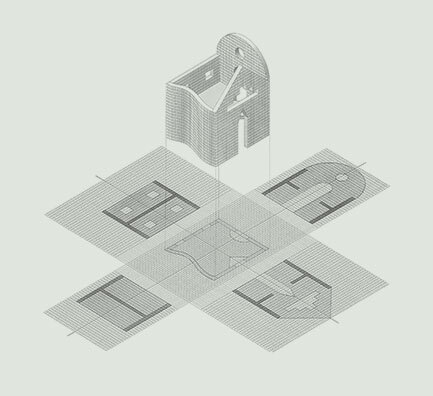 Building with SISMO is quick and easy, no specific skills are required. The modules are positioned on the floor and vertically aligned. The modules are joined together by iron rings and supported by a lightweight scaffolding. Once the modules are joined and supported, it is time to add the structural filling material. When required by local codes or stability studies, additional reinforcement can be easily introduced. The space between the insulation panels is filled with concrete. During the concrete filling the verticality of the wall is checked and corrected if necessary. When the concrete is dry enough, the scaffolding can be removed. When the concrete has dried out, the windows are easily installed after the lattice is cut out. Windows can be located where required. Plumbing, electrical components and conduits are easily installed into the interior infill panels after the concrete is poured or installed inside the module beforehand. The SISMO lattice gives the architect the freedom to choose between a variety of finishing materials. The recommendations of the manufacturer of the finishing material should be followed and good trade practice regarding installation and sealing should be observed. sisCAD® is a computer aided design program especially developed for the Sismo® building concept. The sisCAD® design program is the first step in the production process aimed at rational and economic construction with a high productivity. Projects can either be directly designed in the sisCAD program or the architect may deliver the traditional building plans on paper or via computer to the nearest SISMO Production Station to have the project translated into the SISMO building system.